Barbara Green, a 56-year-old nurse from East Lancashire in the UK, has miraculously returned to work just months after undergoing ground-breaking proton therapy in America for a rare form of cancer in her spine. Robert Webb, a 65-year-old from Basildon in the UK who was diagnosed with prostate cancer two years ago, was told not to waste money on proton therapy abroad. Ignoring that advice saved his life. Evie Hughes, a six-year-old schoolgirl from Pen Llyn in the UK who received life-saving brain surgery last week, will soon have to travel to the USA for pioneering proton therapy treatment. 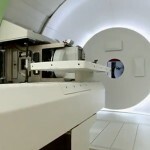 Check out the latest news about proton therapy: this week, find out how this state-of-the-art treatment modality is helping patients of all ages and from all over the world in their fight against cancer. Eden Bragg, a 4-year-old from Midland, Texas who was diagnosed with a brain tumor called ependymoma when he was just two, is now two years tumor free after 33 proton therapy treatments. In May 2015, Eden suddenly started vomiting for several days. At first, his parents were told that a virus was causing his sickness, until they visited their local children’s hospital in their hometown. Doctors decided to go a step further and complete a CT scan, which revealed a tumor on his brain called ependymoma. Eden underwent surgery to remove the tumor, and unfortunately developed meningitis, an infection of in his spinal fluid. After a month-long hospitalization, doctors began discussions about radiation treatment, highly recommending proton therapy over conventional radiation, as proton therapy is especially beneficial for children who are still developing and growing. “Instead of radiating his whole head, doctors would radiate only a specific spot,” Eden’s mom said. Eden arrived at the MD Anderson Proton Therapy Center in July 2015 where he completed 33 treatments. 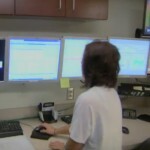 Eden and his family were very pleased with the staff at the center: “We loved seeing them everyday. Pediatric Nurse Leo was just so nice. He helped Eden calm down,” Eden’s mom said. Now, Eden is 4 years old and two years tumor free. He enjoys visiting Toys “R” Us to shop for cars, trains and rockets. He loves the outdoors especially visiting barns to pet animals. Vivian Mallis, a carefree young girl about to turn two years old in November, is all smiles despite high-risk neuroblastoma because she’s too young to understand what her body is fighting. Danielle learned of her daughter’s diagnosis when she was about to turn one. “They did a biopsy when they first took her back and found it was stage four, high-risk neuroblastoma,” she recalls. 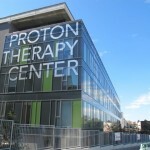 The treatment requires the family to travel to the Hampton University Proton Therapy Institute five days a week. “She has to get sedated every day,” said Danielle. “She can’t move around for it, can’t eat breakfast and can’t drink anything until she’s done.” But last Friday was a little bit different. There were more smiles, more laughs and more playtime for Vivian with her older brother Christian. Shortly after her family visited her in the center’s playroom, she went with doctors to receive her final proton radiation therapy after two months. She even got to ring a bell to celebrate the occasion. “She’s so strong,” said Danielle. “It’s hard but I stare at her and know everything will be okay. She’s the strongest person I know, and I call her ‘Vivian Jean the Cancer Fighting Machine.’” If you’d like to donate to help with hospital bills you can visit the family’s crowdfunding page. Jie Eccles, a 28-year-old from South Hobart in Australia, has underwent the longest year of his life, but thanks to proton therapy and the generous donations of strangers, he may now still have many years ahead of him. 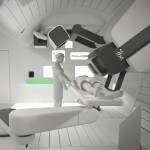 Check out the latest news about proton therapy: this week, find out how this state-of-the-art treatment modality is offering a new chance at life to patients from all over the world. Connor Johnson was diagnosed with medulloblastoma when he was only 13 years old. According to his family, the organization Brighter Tomorrows is one of the main reasons the 15-year-old is now cancer free. “I was 13 and we went in for an eye checkup just ’cause I was having headaches and vomiting,” Connor remembers. “The doctor scheduled an MRI for the next day, and that’s what diagnosed me.” His parents say they were just as shocked as he was, but they had little time to consider the implications of their youngest child having cancer, as he was rushed to the hospital for a 6-hour brain surgery. A couple weeks later, Connor started 30 sessions of cutting-edge proton therapy, and then 46 weeks of gruelling chemotherapy. But there were times Connor questioned whether he could get through it. And even if staying positive makes a big difference, it can be difficult for the patient and the parents during such a traumatic time. “When you hear those four words: your child has cancer, you life just comes to a screeching halt,” says Sherrie Decker, co-founder of Brighter Tomorrows, an non-profit that provides support and resources to families dealing with pediatric cancer treatment. That’s why she and four other mothers of kids with cancer started their organization. Brighter Tomorrows offers a safe place of understanding for parents to meet other parents, patients to meet other patients and even siblings to meet other siblings all going through the same thing. Most importantly, Brighter Tomorrows hosts monthly events for the kids going through treatment to look forward to. Connor’s dad thinks Brighter Tomorrows’ method of supporting families has made a profound difference for his family. After more than a year of treatment, Connor is now cancer-free and heading back to school with big plans for his future. On October 19th, Teresa Monteon, a Staff Sergeant in Travis Air Force Base in California, learned that she had a stage 2 unfavorable Hodgkin’s lymphoma. Gerald Pearson, a 72-year-old retired consultant, was diagnosed with cancer in his left eye after a simple routine eye test, which spotted the cancerous growth and led to potentially life-saving surgery. Check out the latest news about proton therapy: this week, find out how this state-of-the-art treatment modality is helping young cancer patients overcome their disease. Dean Hardin, a 7-year-old boy from St. Clair Shores who was diagnosed with a brain tumor in late July, became Beaumont Health’s first pediatric proton therapy patient on September 14th. The second-grader’s life changed overnight. In late July, Dean and his father Jeff were effortlessly throwing a football back and forth in the backyard, but within days, Dean began experiencing debilitating headaches that wouldn’t go away. A week later, an emergency room doctor diagnosed him with a brain tumor and he was rushed to the operating room to remove most of the tumor on Aug. 3. Since then, he has had difficulty managing the left side of his body, but each day he gets a little better and his parents are encouraged by his progress. He is currently in the midst of a 6-week proton therapy treatment plan schedule. Despite all this, Dean still has contagious smile and eyes. “This is what I have to do to get better,” he said matter-of-factly, following one of his first treatments. “When we learned about the benefits of proton therapy from several different sources, we knew this is where we wanted Dean to get treatment,” said his mom Kristie. “So far so good,” said Jeff. “We are focusing on the positive and taking one day at a time.” Proton therapy offers less exposure to radiation and fewer side effects, and also reduces the risk of future malignancies, especially relevant in treating childhood cancer. “Like Dean, we won’t settle for anything less than the best technology, in treating our most vulnerable patients,” his doctor said. September is National Prostate Cancer Awareness Month and for men, prostate cancer is the most common form of cancer. Proton therapy has been able to successfully treat many men with prostate cancer, like John Rick Giardino from Texas. Alessandra Alvarado, a 10-year-old brave girl who was diagnosed with rhabdomyosarcoma when she was just 5, has been able to overcome her condition with proton therapy treatment. In June 2012, Alessandra showed symptoms similar to facial palsy. Her doctor diagnosed her with Bell’s palsy, but after several weeks of no improvement, her parents sought a second opinion and doctors found a rare form of cancer in her middle ear called rhabdomyosarcoma. Her parents knew the importance of finding the best possible treatment for her due to the tumor’s location and began doing thorough researching. Soon after, Alessandra was scheduled for an appointment at The University of Texas MD Anderson Cancer Center, and learned about the benefits of proton therapy. In her case, proton therapy was able to help spare her ear, jaw, eyes and most importantly her brain. She arrived at the center in late July of 2012 and received a total of 28 treatments in conjunction with chemotherapy. Now 11 years old, Alessandra continues doing the things she loves in life thanks to proton therapy. Her advice for others beginning or undergoing treatment, “Even if you are nervous, everyone is here to help you and everything is going to be ok. Stay confident,” she said. Alessandra is now in 6th grade and aspires to become a professor.